Royal LePage Binder Commercial is the commercial division of the second-largest real estate brokerage in Windsor-Essex, specializing in retail, multi-residential, combined commercial and residential properties, and commercial plazas. 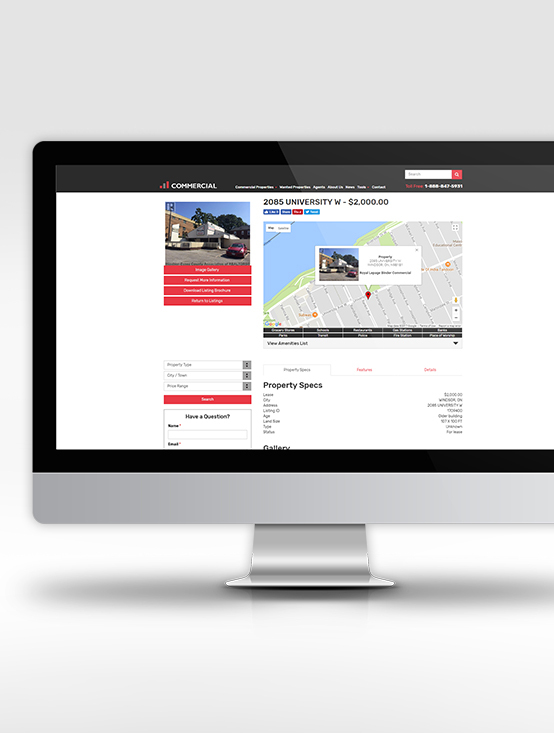 As a division specializing only in these types of properties, they needed a custom website that offered a distinct look and feel compared to their residential division, and one that was created to be consistent with the brand and feel of the corporate Royal LePage Commercial website. We designed the Royal LePage Binder Commercial website to present a professional and distinct image to appeal to commercial real estate clients and to differentiate it from the Royal LePage Binder residential brokerage website. This website was customized to display only commercial and investment properties, while integrated site search and browsing properties by neighbourhood makes it easy for potential clients to find commercial properties that meet their exact requirements. 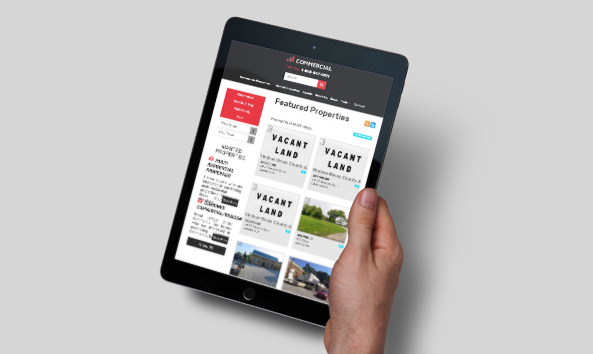 We also included a custom Wanted Properties section that allows them to post details about the types of properties that they have interested buyers lined up for, helping to attract potential sellers to work with RLB Commercial. After launch, we have continued to work with RLB Commercial on new developments to keep their website growing, including adding property listings for the London and Chatham areas. Like with their Windsor commercial property listings, these additional regions have daily property automation so they always have up-to-date properties available on their website. Royal LePage Binder Commercial also needed more than just a website that would be easy to navigate and informative for their clients - they needed a solution to help them manage their brokerage better. 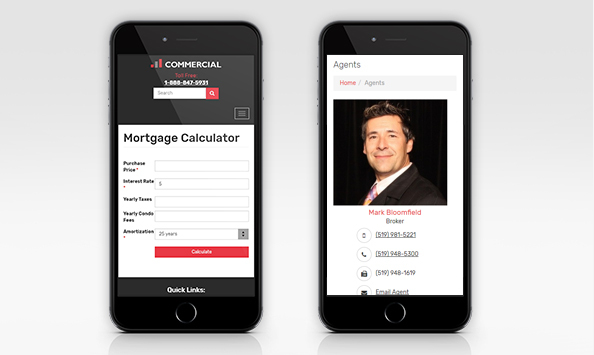 Because the commercial division is a specialized section of Royal LePage Binder, they needed a system to control the agents that were listed here, and manage their information and credentials so new leads would know more about who they would work with. Their brokerage management tools include the same ability to post documents and distribute them to agents as the residential side, and further developments are in the works to add the ability to present agent awards and other credentials directly on their Agents page.